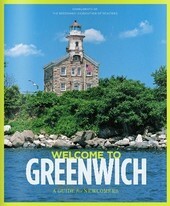 Money Magazine ranked Greenwich as #1 on its list of the best places to live in the United States and Connecticut Magazine ranked Greenwich #1 in education and economy. Greenwich has picturesque parks, fabulous shops, beautiful beaches, award winning restaurants, a fantastic library, and an ultra-modern hospital. Greenwich is continuously rated as Connecticut's number one place to live. As the Old Town farmers struggled with the area’s rocky soil, the tiny hamlet to the west prospered as a seaport. Cos Cob, originally known as Mianus, was named after the Siwanoy chief Mianos. It was an Englishman name John Coe, an early settler, who built a seawall at the mouth of the Mianus River and referred to it as a cob. He left in 1659, but the name Cos Cob (without the “e”) remained. Cos Cob flourished as a seaport during the 1700s and 1800s. At the turn of the nineteenth century, it evolved into an intellectual and artist colony, playing host to the likes of Eugene O’Neill, Willa Cather and Anya Seton, whose father, Ernest Thompson Seton, was a founder of the Boy Scouts of America. The historic Bush-Holley House, presently the home of the Historical Society of the Town of Greenwich, became famous as the residence and studio of the renowned Cos Cob School of American Impressionists, which included Elmer MacRae, Childe Hassam and John Twachtman. Today, Cos Cob has its own shopping center. The lovely Mianus River flows through its residential areas and there are extensive marinas on the upper Mianus Harbor. In 1686 the tract of land between the Byram and Mianus rivers was traded by the Miossehasseky Indians for just thirty acres of planting ground elsewhere. Known then as Horseneck, it was the principal farming area of the town and supplied much of the produce for New York. The advent of the railroad in the mid-nineteenth century was an economic boon for central Greenwich, transforming Greenwich Avenue into the major shopping center it is today, with its many upscale stores and top-rated restaurants. Trademarks of the Avenue are the uniformed policemen who direct traffic every weekday. Central Greenwich is the hub of economic activity and the seat of town government. It is also where the main Greenwich library, Bruce Museum, Greenwich Hospital and many other town institutions are located. The central Greenwich area offers a wide range of residential opportunities, from apartments and condominiums convenient to shopping and public transportation to midcountry homes and the exclusive waterfront properties in Belle Haven and Mead Point. Known as Mianus Neck until 1870 Riverside was predominantly a community of farmers, fishermen and oystermen. Until the middle of the 19thcentury, Riverside Avenue was known as the Potato Road for all the potato cellars near the cove. Today, it is one of the most desirable of our suburban communities. It is closely linked to neighboring Old Greenwich, and its abundant stretch of waterfront on the river, harbor and Long Island Sound attracts those who have a particular interest in living near the water and in sailing and fishing. Like Old Greenwich, its location near a railroad station makes it ideal for commuters to the city. Tucked into the southwest corner of town, Byram was settled in 1660 by Thomas Lyon and was originally known as New Lebanon. Today, Byram is a diverse residential community. Beautiful shorefront estates with dramatic views of the Sound are backed by more modest residential properties in the rest of the village. Together with neighboring Port Chester across the Byram River, there are any number of fine restaurants featuring a variety of ethnic cuisines plus retail shops of every kind. An ongoing program revitalizing properties along the shores of the Byram River and Byram’s central business district is giving this Greenwich enclave a decidedly up-and-coming future. Information Provided from Greenwich Board of Realtors. Information Provided by Greenwich Town Hall.